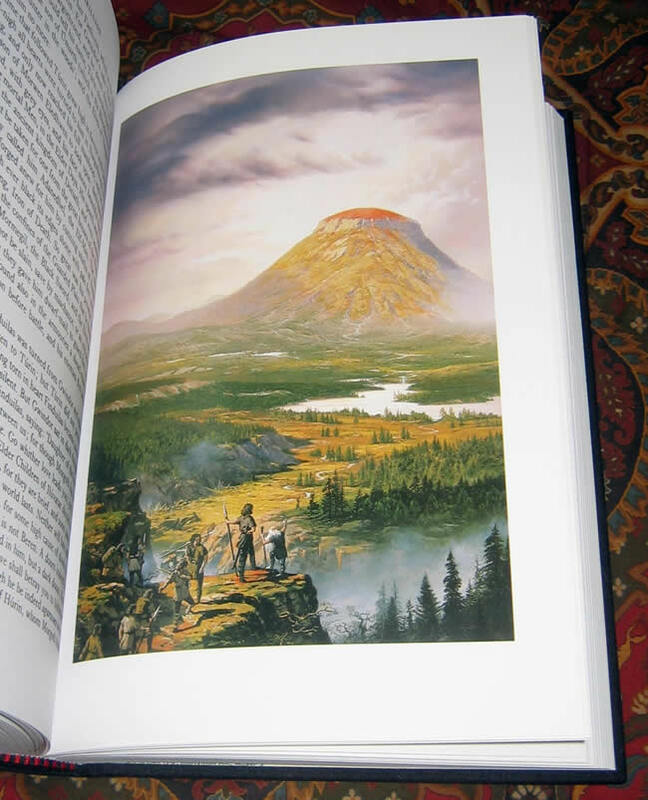 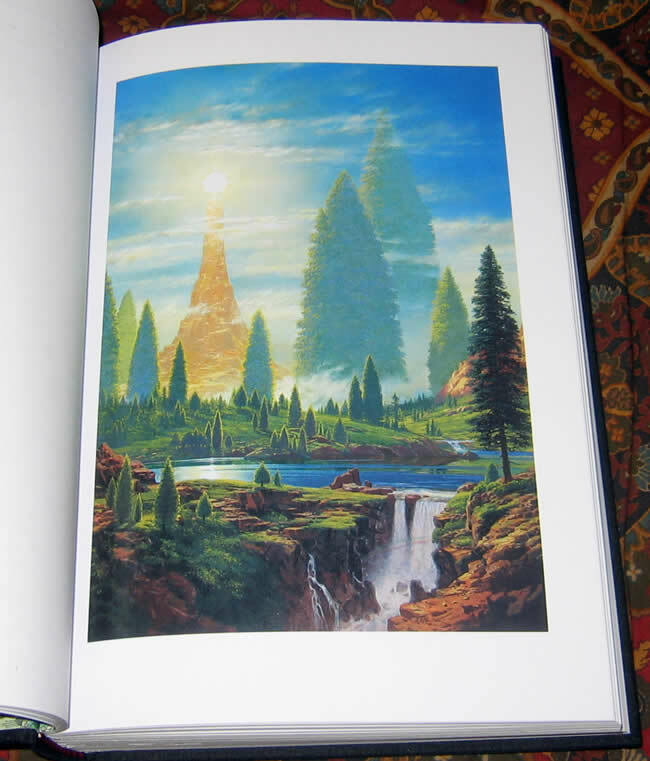 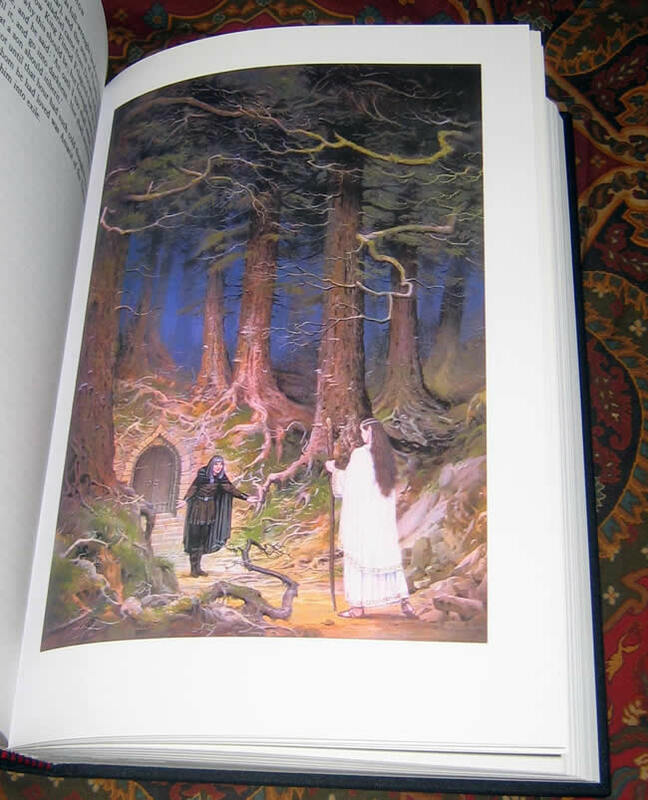 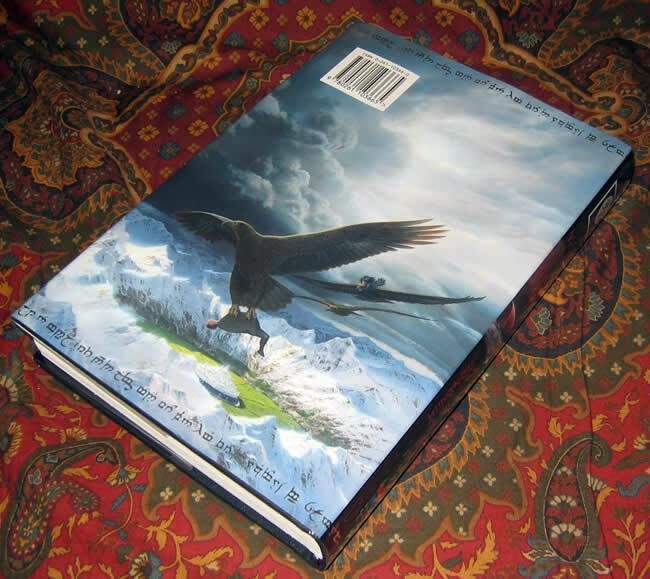 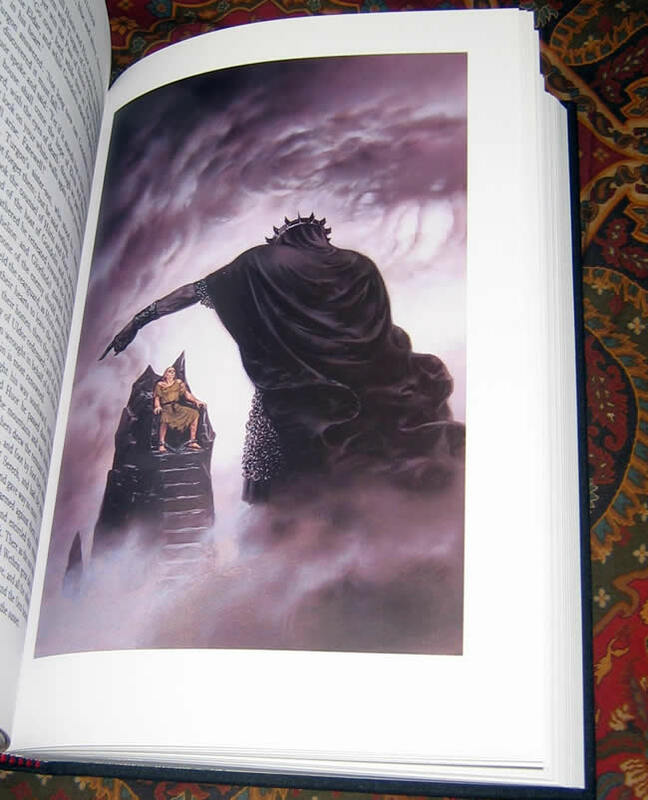 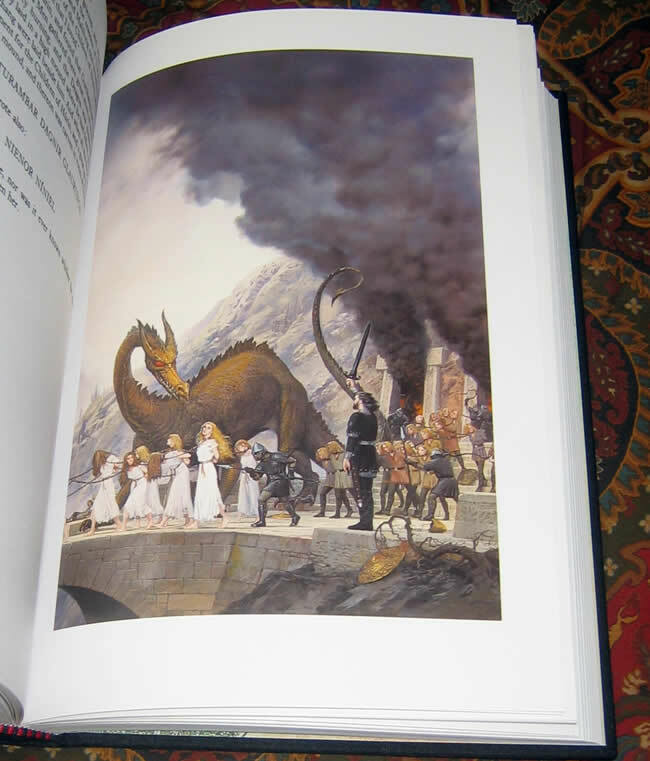 "This new edition of 'The Silmarillion' contains 20 full color illustrations specially commissioned from artist Ted Nasmith." 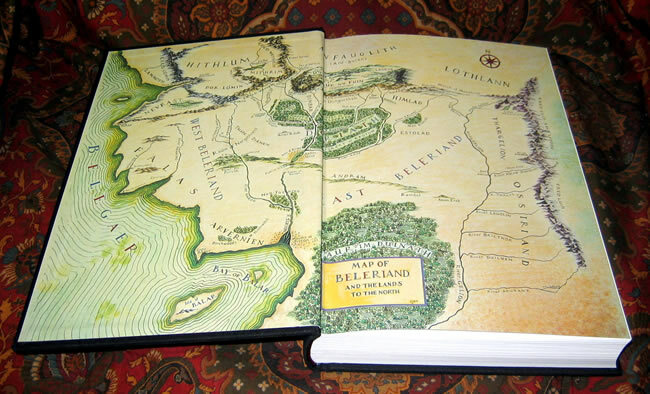 Colored map endpapers, no names or writing. 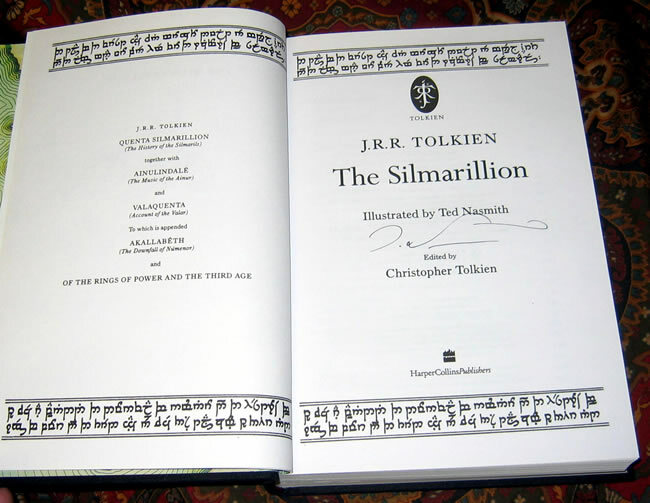 Editied by Christopher Tolkien, after his fathers death. 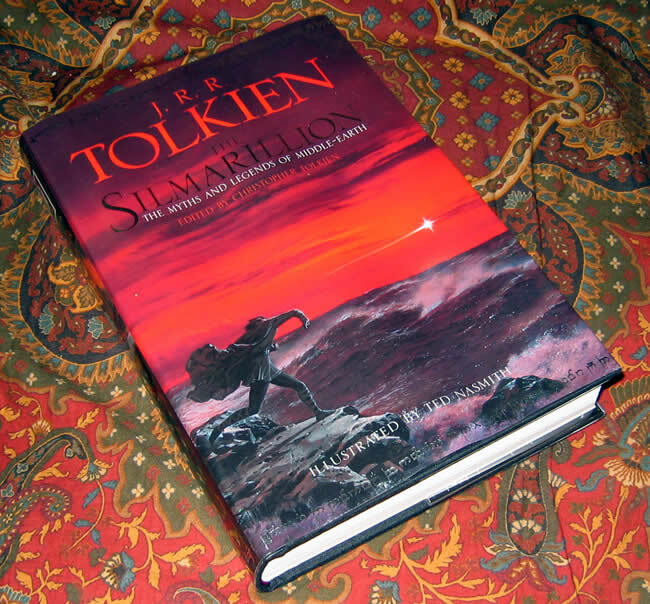 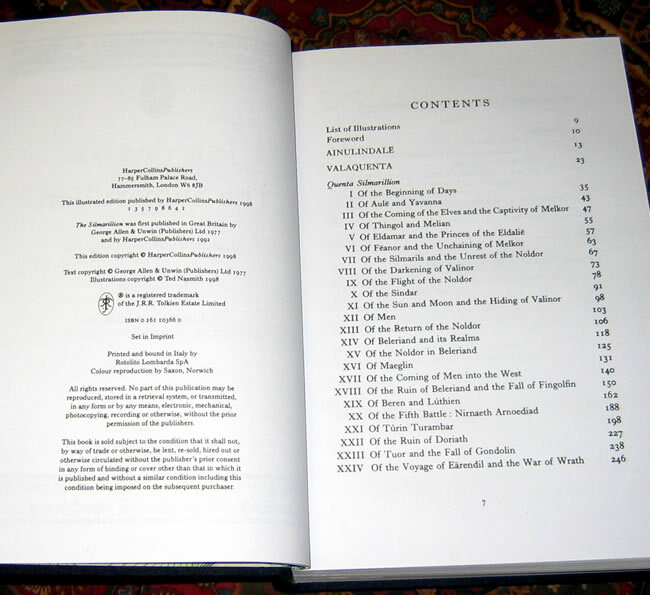 'The Tales of the Silmarillion were the underlying inspiration and source of J.R.R. 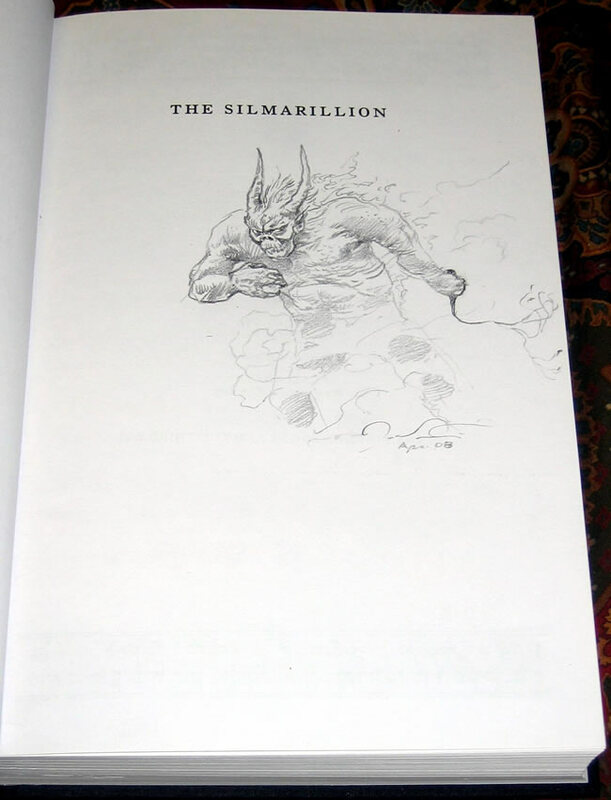 Tolkien's imaginative writing: he worked on the book throughout his life, but never brought it to a final form.